These perfect little buttermilk caramel cupcakes are the kind of thing that you can have a hankering for at 3pm and be eating by 4pm. 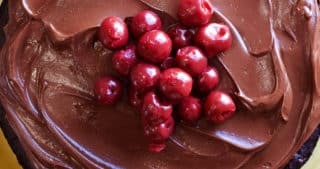 It’s one of those quick, no fail recipes that I find myself coming back to over and over again because the cupcakes are just so deliciously accessible. 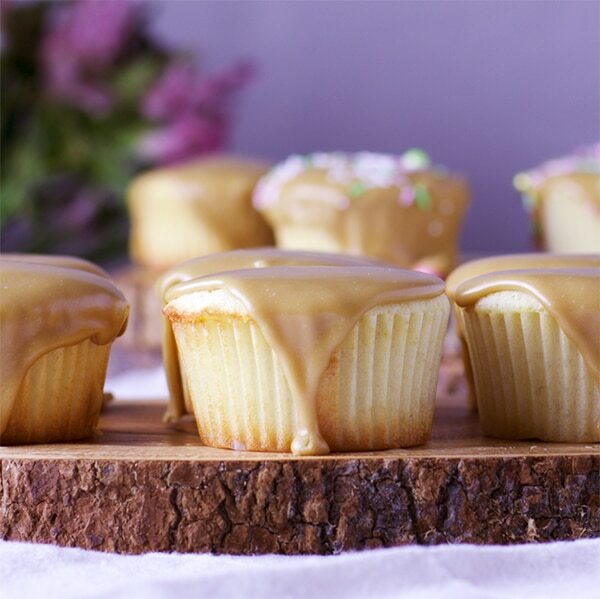 Using ingredients most of us have in our cupboards or pantries this recipe will give you soft, perfect little golden cupcakes and an addictive caramel frosting in about an hour. Also… there’s caramel frosting dripping down the sides. 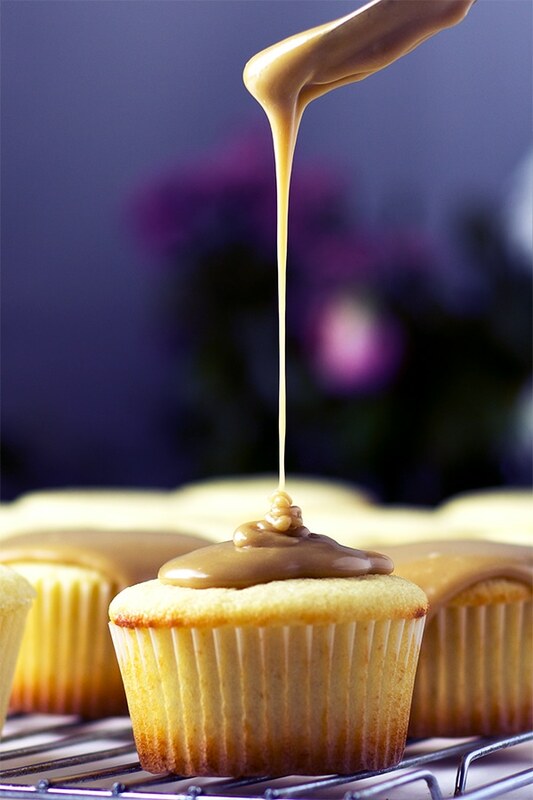 Who can resist a cupcake with caramel frosting dripping down the sides??? Not this girl. Not ever. Most of us have a couple of recipes like this in our back pocket. 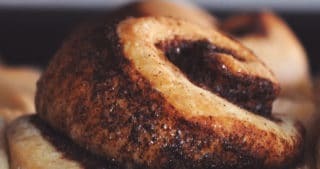 That perfect thing that can be whipped up at a moment’s notice for no other reason than you suddenly have a craving and you probably have all the ingredients on hand. 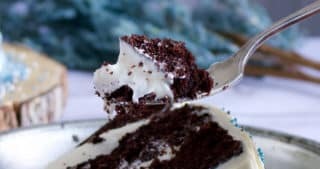 That cake (perfect Devil’s Food), or cookie (Giant Chewy Oatmeal Raisin), or brownie (Sheet Pan Frosted Brownies), that shows up at every birthday party, potluck, and backyard BBQ because it’s a surefire hit with everyone, always. No frills. Unfussy. Simple. Always delicious. 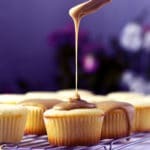 That’s what these buttermilk caramel cupcakes are. The cupcake batter takes about 15 minutes to make and about 20 minutes to bake. Whip up the frosting in about 10 minutes, no spreading, piping, or decorating required (except maybe some sprinkles because sprinkles are awesome). 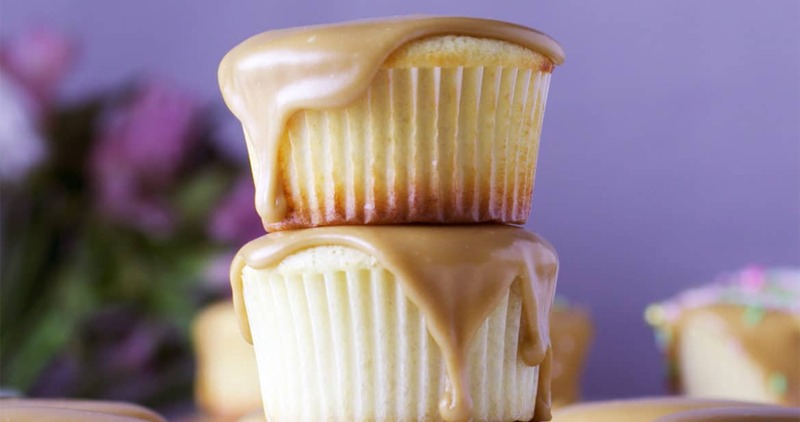 Simply pour the caramel frosting over the top of the buttermilk cupcakes while it’s still warm, letting it drip deliciously down the sides, all excessively self-indulgent like. And then, there’s nothing left to do but eat. At room temperature, eggs and dairy form a creamy emulsion that traps air. This is a good thing because all that trapped air expands in the oven, giving you light, fluffy cupcakes. Also, room temperature ingredients mix together better. Creaming the butter and sugar (beating them with an electric mixer until light and creamy) is impossible if the butter is cold. 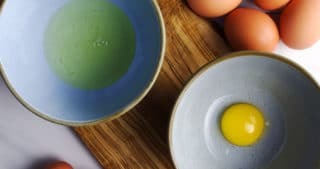 Same goes for the eggs – if they are added to the cupcake batter straight from the refrigerator, they just won’t incorporate well. 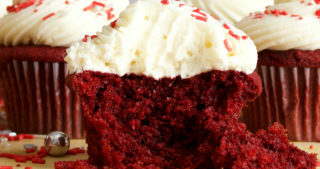 The whole point of these cupcakes is that you can whip them up when the urge strikes. No one wants to wait an hour or two for the butter, eggs, and buttermilk to come to room temperature. Buttermilk: You might be tempted to do the same thing with the buttermilk as you did with the butter – microwave it for a bit. That’s a mistake, because microwaves tend to heats liquids unevenly and buttermilk separates when heated (that’s how you make ricotta cheese). Would you make scrambled eggs without salt? Put unsalted butter on your dinner roll? Make the coating for fried chicken without a generous measure of salt? 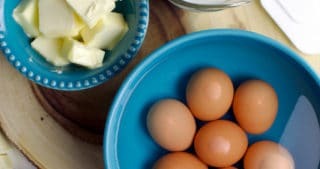 Add just a bit of salt to eggs, butter, or flour and suddenly they have flavor. It’s kinda magical. You don’t need a ton of salt in sweet treats like cupcakes. But, I feel you generally need more than most recipes call for. So, if you think that a full teaspoon of salt is a bit much for cupcake batter, try it anyway. Your cupcakes will not be salty – they’ll just be more flavorful. The Perfect Oven Temperature for Perfect Cupcakes. I don’t know where I learned this trick. I read it somewhere and would love to give whoever wrote it credit, but I can’t remember who or where or what. Regardless, for the most part, if you bake cupcakes for 5 minutes at 400 degrees (F) and then turn the oven temperature down to 350 for the rest of the bake time, you’ll get cupcakes with that perfect little dome on top. That initial blast of heat helps the cupcakes rise quickly, creating the domed top. Turning the oven temp down ensures that the inside will bake through before the outside burns. Even when using paper liners, spray your cupcake pan with non-stick spray. 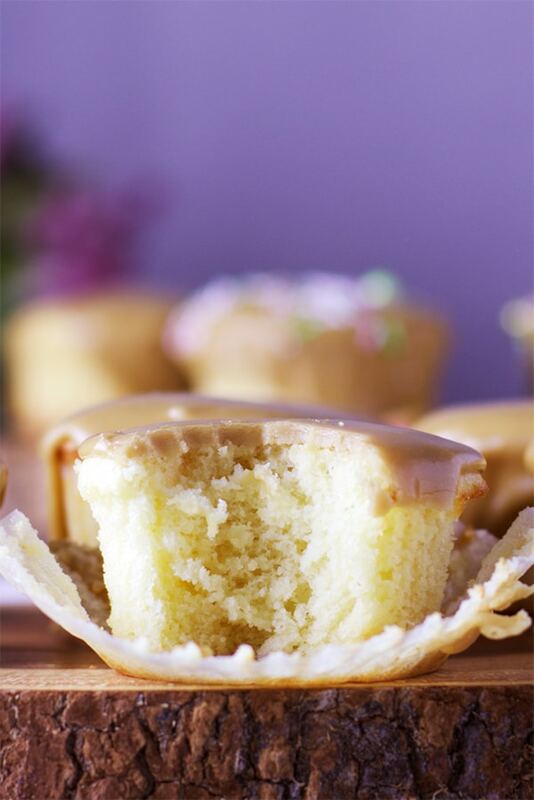 Unless you’re really under-filling the cupcake cups, the little domed tops will rise up and over the paper liners, touching the surface of your cupcake pan. 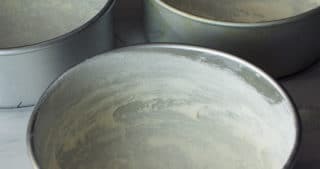 Even if your pan has a non-stick surface, those tender little tops just might stick to the pan making the cupcakes a pain in the you-know-what to get out of the pan intact. 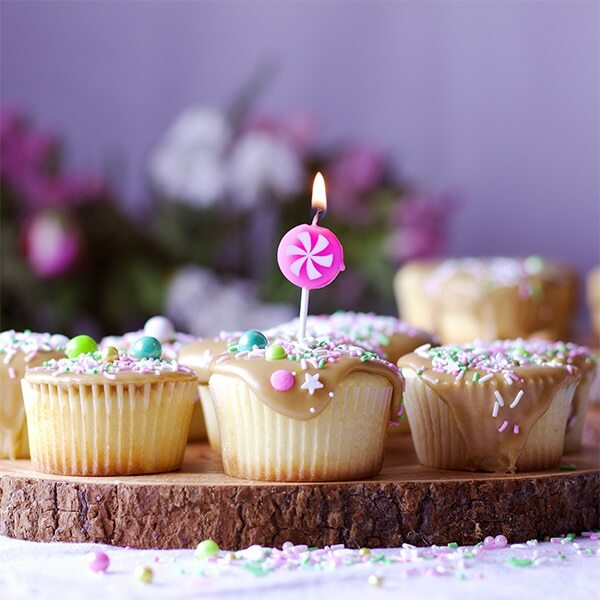 Spraying the surface of the cupcake pan with a light coating of non-stick spray totally solves this issue, allowing you to easily pluck those cupcakes from the pan after baking. Sprinkle while the caramel frosting is warm. If you want to top these with a handful of sprinkles, make sure to sprinkle while the caramel is warm. This caramel frosting cools to a nice crackly-firm texture which is both delicious and super practical if you’re transporting these babies anywhere. But, if you want to add sprinkles and wait until the frosting dries, you’ll be out of luck. The sprinkles won’t stick. 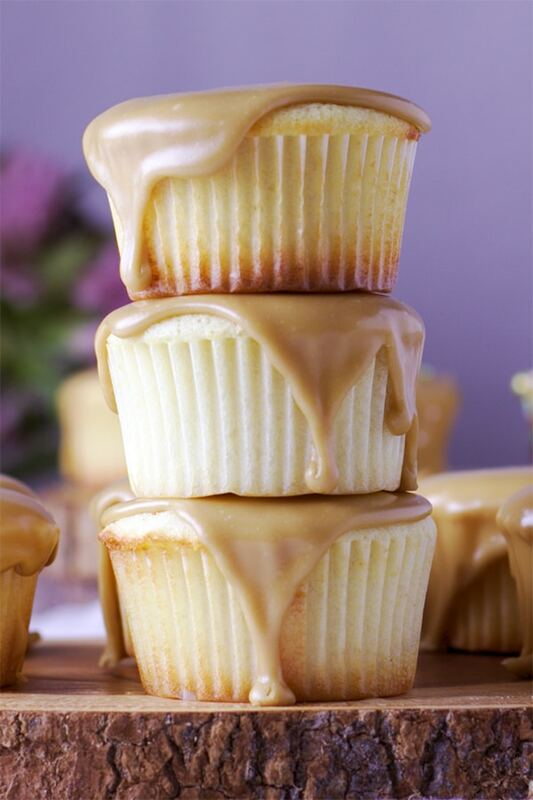 So, drizzle a few cupcakes with caramel and sprinkle. Drizzle, sprinkle. Drizzle, sprinkle. I can’t think of a better way to spend an afternoon. These were so delicious! 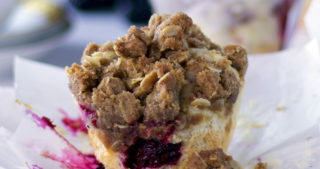 The perfect cupcake for when you need something a little sweet in a hurry.